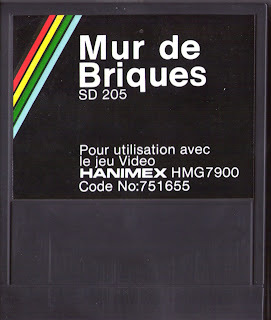 I've been asked if i had information about the Hanimex HMG-7900, the games and the clones. Well in fact i do, i even wanted to write a FAQ about it. This would be the successor of the Epoch Cassette Vision since both game systems are pretty similar in hardware and software but not exactly the same. First, it is really the Soundic Soundvision SD-200 that is the "parent" and all the others are clones. 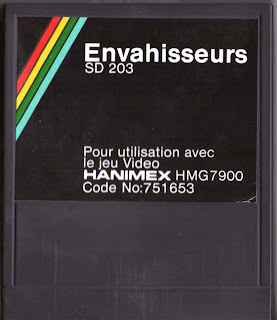 Yes, the Hanimex HMG-7900 is in fact a clone but it is the most popular known compared to the Soundic Soundvision SD-200. 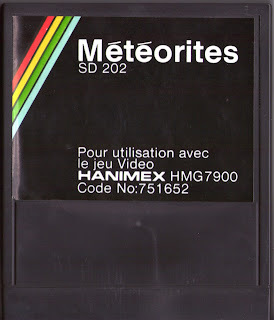 There is three types of models: the SD-200, the SD-270 and the SD-290 but all have the same main chip: a NEC uPD779C-300. 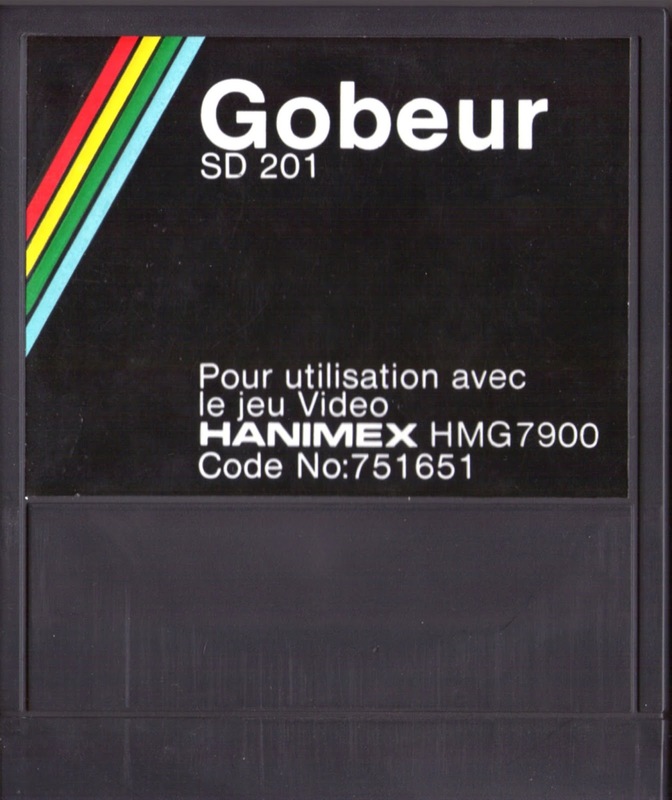 The D779C is very similar to the chips inside the ECV cartridges but there is a major difference, the D779C is programmable compared to the D774C, D777C and D778C. 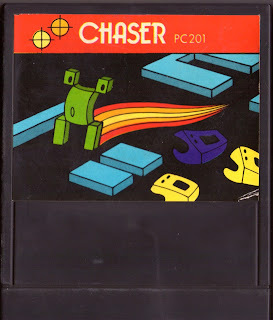 The last one " Zodiac" is mentioned on the web site "NES-Retromaailma" (http://www.nesretro.com/database/listat/muut.php?id=67) but there is no full name or picture(s) of the game system. * SD-202 // Space Smash // Meteorites // Space Smash // ??? * SD-204 // Raging Turtle // Course à la Tortue // ??? // ??? 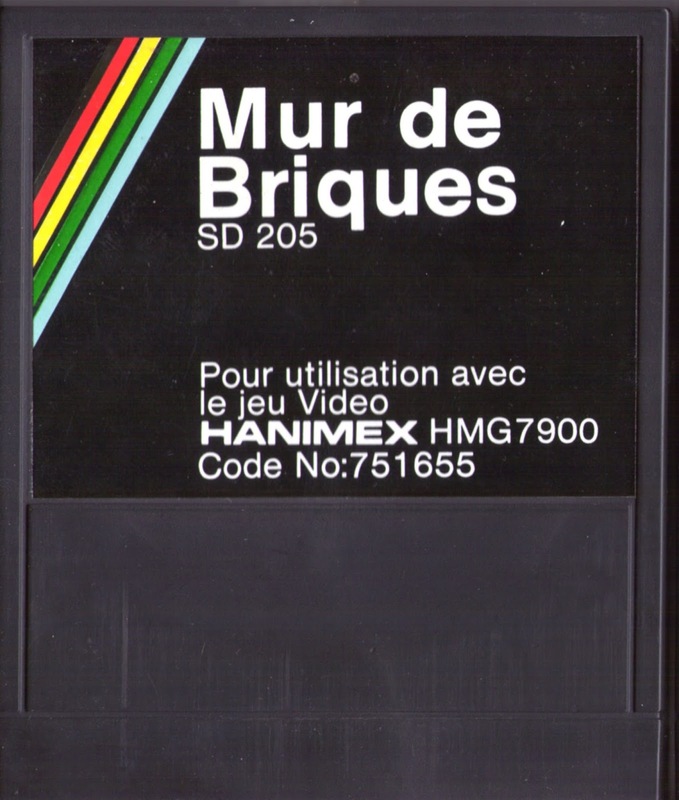 * SD-205 // Breakaway // Mur de Briques // ??? // ??? 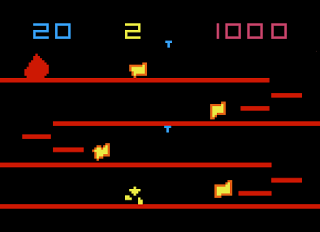 * SD-206 // Martian // Martian // Marziani // ??? 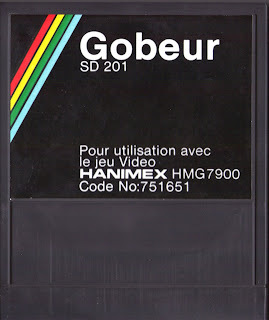 * SD-207 // Outworlder // La Rivière Sauvage // ??? // ??? 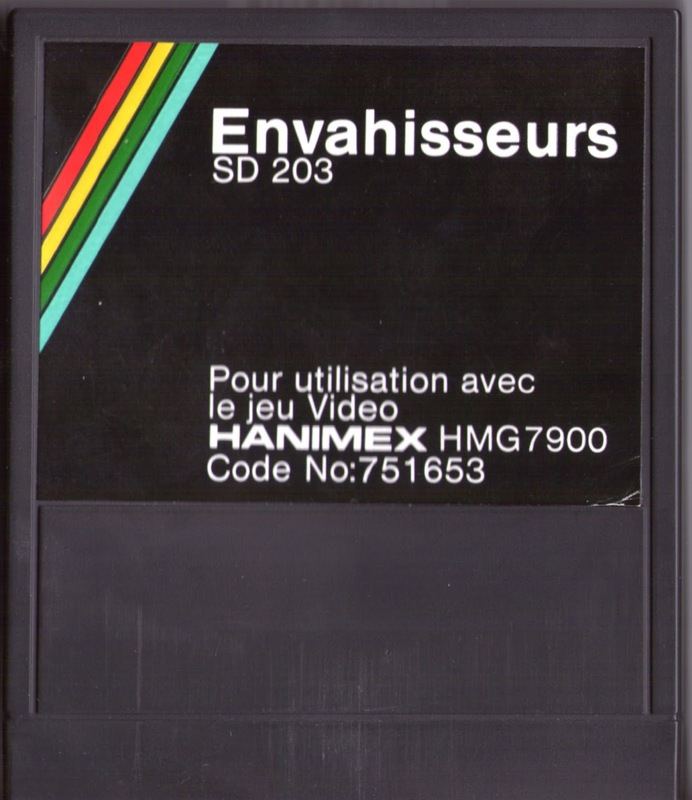 Credits goes to Olivier Boisseau (of Old-Computers.com) that he was the first one to notice that the Hanimex HMG-7900 and the Epoch Cassette Vision looked very similar graphically. Check out his report HERE. 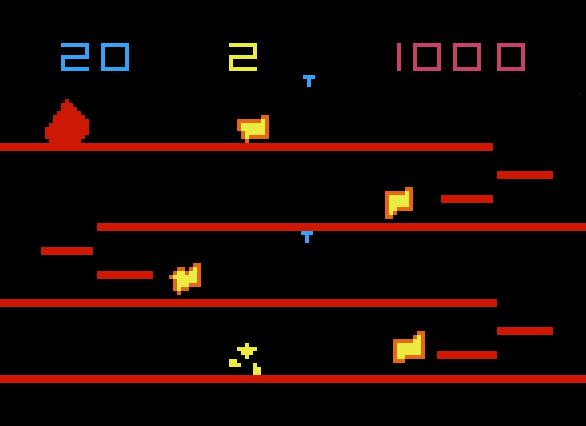 Here's a blown-up and rendered screenshot of the "SD-209: Fire Attack"
This a Donkey Kong-type game clone.